In 2005, an extensive series of community engagement efforts were initiated, focused on improving Active Transportation infrastructure and enhancing safety in the communities of University Heights and Fort Richmond. Since then, a great deal has been accomplished and the projects on Patricia Avenue and Kilkenny Drive are currently underway, as noted in the article below. If you would like more information on traffic calming, please visit the City of Winnipeg’s website. My thanks to The Sou’Wester for covering this story. Major construction has been underway in a Fort Richmond neighbourhood to rehabilitate roads and improve safety. Kilkenny Drive, from Kings Drive to Patricia Avenue, has been getting a major overhaul, culminating in fresh pavement and asphalt, new curbs and drainage infrastructure. SOUWESTER: The newly relaid stretch of Kilkenny Drive facing King’s Park. Also, a 1.8-metre wide sidewalk is to be installed on the river side of Kilkenny, running from the entrance of King’s Park to Radcliffe Road, says Coun. Janice Lukes (South Winnipeg – St. Norbert). Kilkenny from Patricia to Radcliffe Road is slated to receive preventative rehabilitation street work as well. “Big work, big mess, but it will be wonderful when it’s done,” Lukes says. She says speed tables will be added on the Kilkenny section between King’s Park and Patricia. Similar to speed humps, speed tables are wider and not as high, painted to be noticeable, and designed to encourage motorists to reduce their speed. These are a pilot project and, if residents approve, they could extend farther down Kilkenny. Lukes says traffic-calming neighbour-hoods is somewhat new to Winnipeg, but it’s something residents want and she agrees. A sidewalk project is underway on Patricia, extending the sidewalk from École St. Avila to Kilkenny. A study aimed at making the entire Fort Richmond community more pedestrian and bike-friendly ran from 2009 to 2011. “During this study, the need for a sidewalk on Patricia was identified to improve safety and walkability to the school and community centre,” Lukes says, noting funding was secured in 2014. Residents were consulted and some weren’t supportive of the idea but, since the then-proposed sidewalk was on city property, the city ultimately had final say. 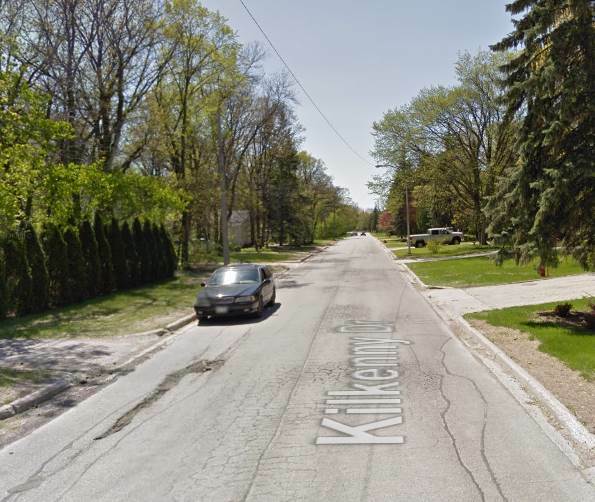 Parts of Cloutier Drive and Markham Road are also being rehabilitated this summer, while thin bituminous overlay is being applied to asphalt surfaces on stretches of Killarney Avenue, Prescot Road, Bellemer Drive and La Porte Drive. Richard Kamchen is a community correspondent for Fort Richmond. Read more by Richard Kamchen – Community Correspondent.